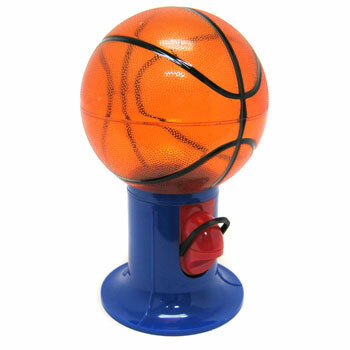 This basketball snack machine is perfect for snacks. Easily dispenses popcorn, peanuts, jelly beans, or any snacking favorites. 9 inches tall and offered individually in a colorful box. $4.15 each for 36 or more. $3.60 each for 72 or more.